One has to marvel at the mainstream media and politicians. In the Central African Republic, violence had been waging for eighteen months before the U.N. sent troops to the region. What changed in the last three months to bring the U.N. to act? Christians began fighting back. We can’t have Muslims being killed! On the other hand, if Christians are being crucified in the streets and forced to leave their homes, nothing need be done about it. 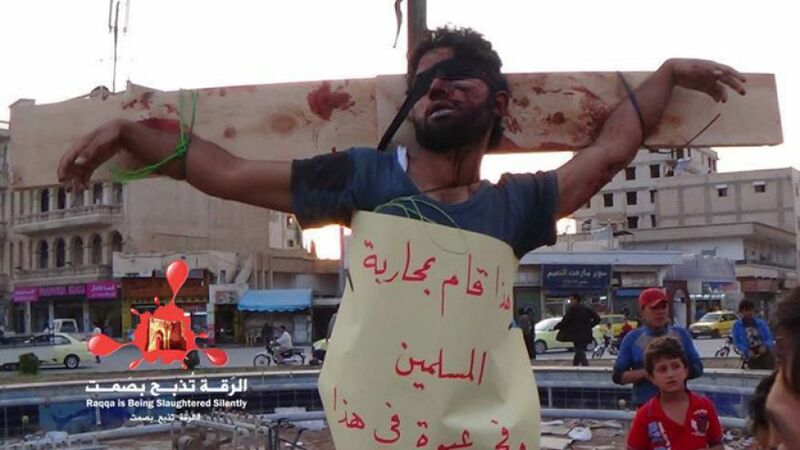 The lack of a response concerning the Christians being persecuted in Iraq is truly mind blowing. The Priestly Fraternity of St. Peter has called for a day of prayer and adoration to beseech Our Lord’s aid for persecuted Christians in the Middle East. Perhaps this will catch the attention of the stupidly silent Obama Administration. One wonders more and more every day whether Obama’s “my Muslim faith” was not a slip of the tongue! As far as I know, the French–the new leaders of the free world now that Obama has gone a long way toward destroying American prestige–and the Kurds are the only ones offering asylum to Christian refugees. With the current inaction by our government, one hopes the the Kurds will indeed form their own country. But then, Christians would be protected, and I’m sure the fearless Barack Hussein Obama will feel compelled to meddle in that.